Rugby Ontario and the University of Guelph are proud to present the Cross Border Series this week at the University of Guelph. 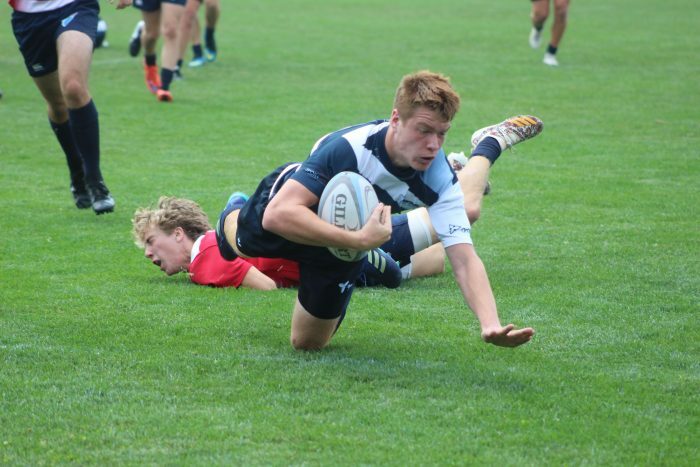 Eagle Impact Rugby Academy and Rugby Ontario continue to develop their already strong competition relationship as the American Academy program travels to Guelph once again to take part in the competition series. The program will be bringing Under 15, Under 16, Under 17 and Under 18 teams to Guelph. This event gives Ontario Jr. Blues players access to top-notch competition and a stellar experience at the University of Guelph. 13 Ontario Jr. Blues teams and more than 300 Ontario provincial athletes, coaches and support staff will be part of the weekend in Guelph. Catch July 26 and 28 matches on the South Grass Field LIVE at youtube.com/rugbyontarioTV. Follow Rugby Ontario on Twitter and check back on the website for updates. For photos of the competition, go to www.facebook.com/rugbyontario.